This thorough, thoughtful, well-researched piece by Patrick Sisson’s CURBED, illustrates how The 10-mile Underline, a $120 million transit corridor and public space project is poised to change how the city moves. Daly’s story illustrates the philosophy behind, and potential of, one of Miami and the nation’s most intriguing park projects. 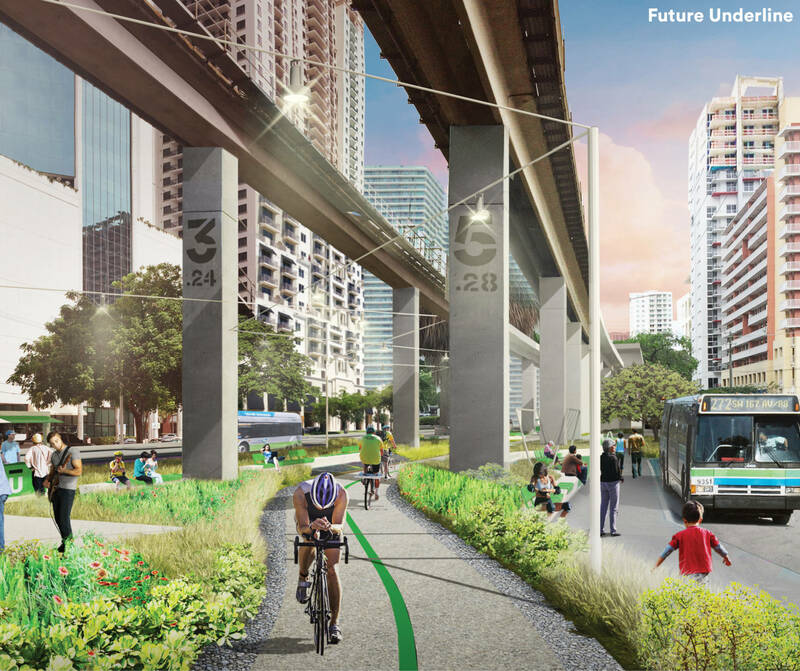 The 10-mile linear park, a $120 million redevelopment of open space under a span of Metrorail tracks roughly parallel to the north end of the Miami River, will link the condos, coworking spaces, and tech offices of the booming Brickell neighborhood with South Miami, in a bid to be a catalyst for community, connection, and safer transit. The groundbreaking on the project’s first half-mile phase next month, which will begin construction of the so-called Brickell Backyard portion of the Underline, comes after five years of promotion, proposals, and fundraising.